The sit command is vital to all good dog work. The sit command is fundamental to good dog work. It is not always as straighforward as holding the feed bowl above your puppy’s head, but a whistle and good measure of patience will do the trick. 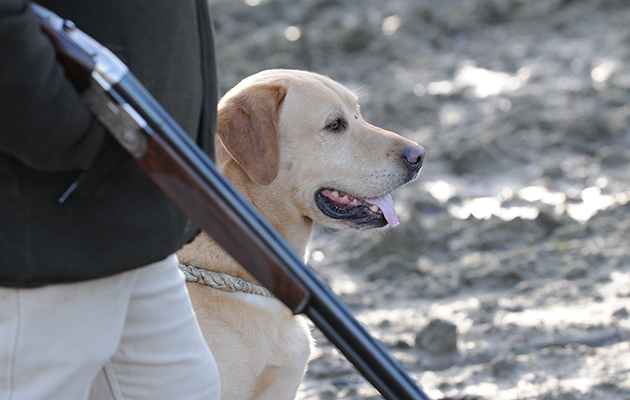 Janet Menzies advises on how to get your gundog to sit. Training your puppy to sit will be one of the first things you do. 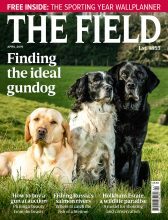 Read Janet Menzies tips on gundogs: what you should know before you start for a real account on what it is like to train a gundog yourself. Gun dog training experts are rarely entirely straight with amateurs about how to get your gundog to sit, which is a shame because the sit command is absolutely fundamental to good dog work. The feedbowl routine works particuarly well with labradors, but not spaniels. Back in the 70s, uber dog woman, Barbara Woodhouse, achieved cult status by getting dogs and a range of zoo and farmyard animals to sit. The fact she became the A-list celebrity of her day just through performing this one trick should warn us that being able to get a dog to sit on command is quite a talent. The feat has since become a star turn for showbiz animal trainers and the ‘mass sit’ is now a television staple. The experts remain unforthcoming about the science behind their art. There is an amusing photograph of Woodhouse ‘sitting’ an enormous pig, which looks impressive. There is a theory behind the common advice of teaching a puppy to sit by holding the feed bowl above its head. The idea goes the puppy will immediately look up at its favourite thing, the bowl, and its bottom will hit the floor, at which point you say ‘sit’ and eventually reward the pup by putting the bowl down. Fortunately for novice trainers, there are some gundog breeds that are very keen on the food bowl and perhaps not that athletic. 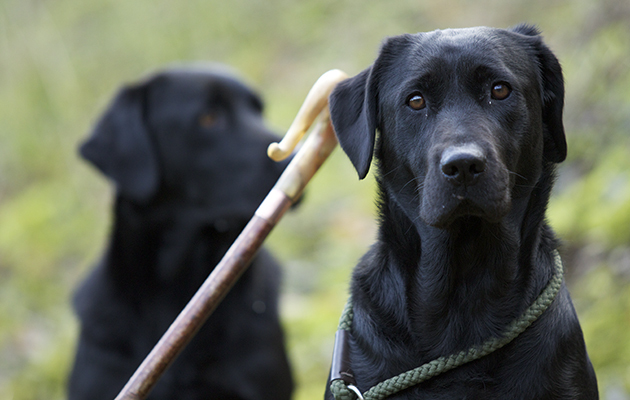 It is probably no coincidence that our most popular gundog, the labrador, is one of them. This means owners of labradors and other retriever breeds, such as flatcoats, have an excellent chance of success with the feed-bowl routine. As you lift up the feed bowl, say ‘sit’, and wait until the pup is sitting still and to attention before you give it the food. Gradually make the pause longer, and then introduce the stage where you put the bowl down but don’t let the puppy dash forward to eat until you say so by using a release command (‘eat up’ or ‘good boy’ will do). If the pup rushes in before you say, pick the bowl up again and repeat the whole process. Seeing food it cannot eat is exquisite agony for a labrador, so if your pup learns quickly and is obedient, you have the makings of a great pet dog. Unfortunately the head-up/bum-down theory is by no means as effective with every breed of gundog. The problem is that, like a stage hypnotist, half the trick relies on selecting the right subject on whom to perform it. Far from all puppies are as inflexible – or indeed as food-orientated – as a pig. Young spaniels, for example, are both extremely athletic and not that bothered about food. This makes the food bowl doubly inadequate as a training aid. It is irritating to go through the performance of holding up the bowl and issuing the command (usually ‘hup’ with spaniels) only to have the puppy squirm into a position where it can glance at the bowl without sitting before losing interest completely and wandering off. This is not the kind of dog to make Woodhouse proud. You are going to have to use various methods of positive reinforcement. Keep on with the feed bowl on the off chance that it clicks. Meanwhile, start introducing the sit command whenever you can. If you walk up very close to your pup it will often sit as a reflex, so quickly use the command and then praise or reward the pup while it is still sitting. An excellently trained dog will make you the envy of the guns. You can do a similar exercise using the pup’s toy (remember though, no squeaky toys for gundogs). Stand close to your pup and hold its toy at waist level. It will tend to drop into a sit as a prelude to jumping up to get the toy. Use the command and eventually reward the pup by giving him the toy. If he gets as far as jumping up, repeat the exercise until he learns he will get the toy only if he sits. Pups learn remarkably quickly by this combination of association and positive reinforcement, and it has the added benefit the pup realises early sit means sit in a variety of situations, not just at feed time. Staying and dropping or sitting on command at a distance. Professional gundog trainers tend to assume these refinements follow in the life of a young gundog as naturally as night follows day. 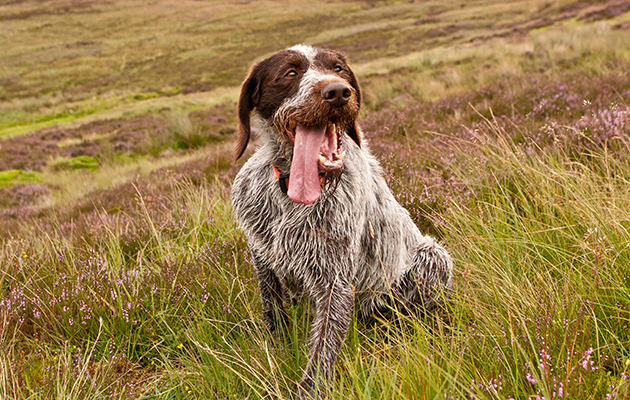 Sadly, 90% of amateur-trained gundogs never really get any good at staying, much less dropping. And when every training session means enduring a muddy, over-enthusiastic yet stubborn young dog in the pouring rain, it is easy to question why we need to bother. That is the time to remember sitting is your dog’s braking system. If the sit command is using the footbrake, then staying is putting the handbrake on – and the drop is your emergency stop. A dog without brakes is no fun for anyone, whereas a dog that is absolutely on the button not only looks cool, but may one day find your training saving its life. But first of all you must install your ABS braking system – which means buying a dog whistle, learning to use it and then always using it. Once you have taught your dog the verbal sit command you must add the visible and audible commands. The drop requires a sharp, instant response, often at considerable distance from the owner, so the commands must be sharp, highly visible and highly audible – hence the need for a whistle. Start with your dog up close and give him the command to sit. As he does so, raise your hand and blow a short, sharp peep on your whistle. A dog will pick up that all these different commands mean sit surprisingly quickly, and pretty soon he will be sitting if you use any one of them. Now start using just the whistle command when he is out messing around at a distance from you. Do it when he happens to be looking at you and then you can reinforce it with the hand signal as well. If he is slow to learn, put a lead on and let him run round with the end dangling. When he is near enough, blow your whistle at the same time as treading on the end of the lead to stop him physically. Having a dog truly ‘on the whistle’ is amazingly good fun. A lot of youngsters will go through the stage of obeying the whistle when they are near you and taking no notice when you blow it at some distance. If they are 100% on the whistle when you are near but not at a distance, this is a mickey-take, so don’t let them get away with it.  You can do as the professionals do by running up to your dog and physically reinforcing the command, but another, less dramatic method is to enrol a friend as backup. Your friend either hides or strolls casually near the dog when you are training, then when the youngster disobeys, your friend suddenly appears (from nowhere as far as the dog is concerned) to bring it up short. This also works well when you are teaching your dog to stay. If your dog stays as long as you are close but moves if you are farther away or not in sight, go through the same routine. The dog soon gets the message that you are everywhere! Having a dog that is truly ‘on the whistle’ is amazingly good fun, like the first time you drive a decent sports car or get your skis properly waxed. Everything suddenly becomes immensely easy. But it won’t stay that way if you don’t keep up the good work throughout the dog’s life, so don’t let things slide once you have been through all the hard work of training. The sit command is not as easy to teach as the experts make it look. Worse still, there are almost no short cuts in how to get your gundog to sit. You need to be both endlessly patient and totally consistent with your dog in order to get the sit and stay genuinely established. Using the feed bowl doesn’t always work. However, the good news is that as long as you start early with a young pup it can learn the command very quickly by association, just like a toddler. Few dogs find it natural to sit and stay, so even when it has been learnt the command still needs positive reinforcement throughout the dog’s working life. The whistle is the most successful way to achieve a smart, prompt response to the sit command, so if you are getting serious about dog work, get a whistle. A dog that sits when you tell it to and remains sitting until you tell it otherwise, is one that will never get into trouble or embarrass you on a shoot, and as its owner you will be the envy of all the other guns.